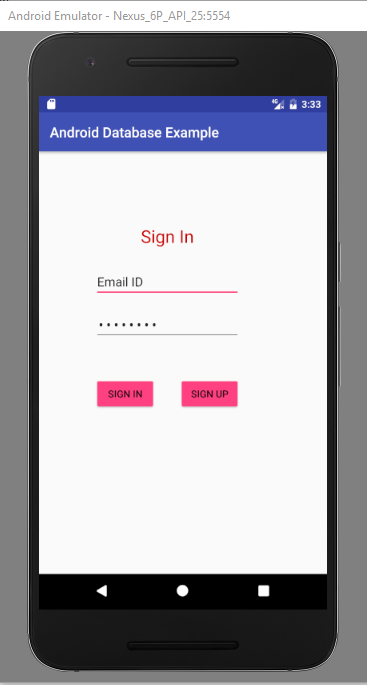 Let’s start creating xml layout for sign up and sign in. As explained above signup has four fields and one OK button. When user clicks on OK button, a dialogue will appear as values has saved then sign in activity will start. 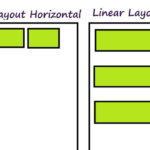 Now create another layout for activity_sign_up.xml. 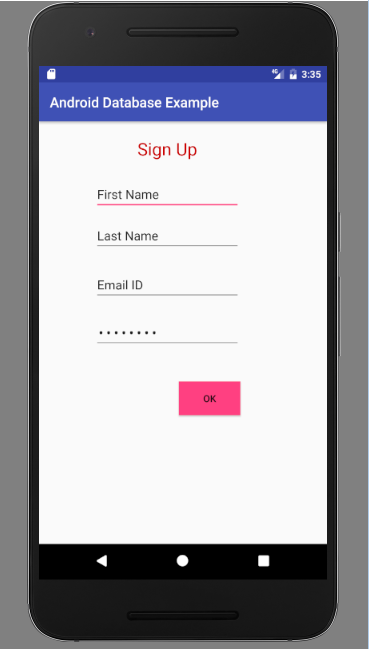 Sign in has two fields and two buttons as Sign UP and Sign In. If you already have an account enter id and password and sign in. If not then click on sign up button and create account for you. This class creates a database on the disk. 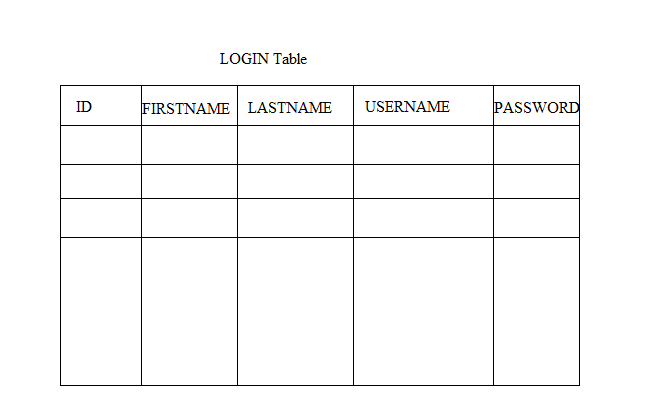 Login database is a class where you implement all your database coding. 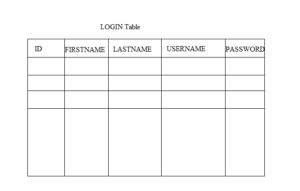 First create a table for login with four fields and then implement all other methods. 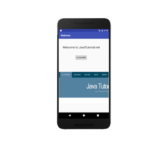 This is the class where you get id and password from sign in activity and implement on click listeners for sign in and sign up buttons. 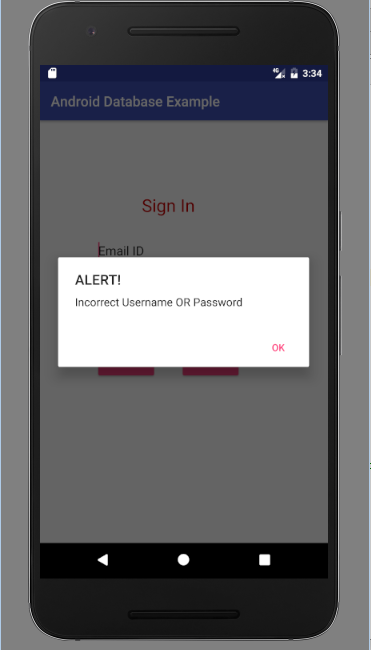 When user clicks on OK button on sign up activity, a dialogue will say values has been added to login table in database. 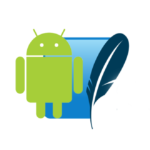 Android Android, database, example, login, sign up, sqlite. permalink. There is no class for DisplayInfoActivity. Is this class missing? Where is the DisplayInfoActivity class?